Do I need a Microsoft account to get the app? The Tobii Experience app will be available in the Microsoft Store from the end of April 2018 for selected devices running on Windows 10 Fall Creators Update 1709 or later. Please check if your device is compliant here. 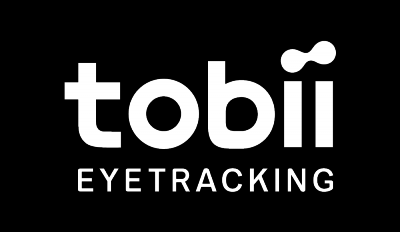 The app enables core functionality for Tobii Eye Tracking if you're using any of our compliant Tobii Eye Trackers. In the application is where you will set up your very first eye tracking profile. For your profile, you can, for example, customize your settings to only track your right or left eye if you have a dominant eye or change your display settings if needed. Once you have your profile set up, you will be able to try out both eye tracking and head tracking. Even if it's not the first time you're using the eye tracker, it's pretty neat seeing it do its thing and responding to your eye and head movements. So, beyond that first discovery stage, you can also find separate pages for Gaming and Interactions. So if you're looking to set up your eye tracker for gaming, go to the Gaming page and you will be presented with all the relevant information you need to get started. if you want to discover and use our interaction features, simply go to Interactions to find all of the feature categories available for your device. To see all the features, just jump into the category of your choice and you will be presented with all the available features for your device. For each feature, there will be an on/off toggle so you can just use the features of your choice.